Our goal is to connect people with the best local experts. We scored roofers on more than 25 variables across five categories, and analysed the results to give you a hand-picked list of the best roofers in Baton Rouge, LA. Blanco Brothers Construction is a family-owned-and-operated company that specializes in roofing work for residential and commercial properties located in and around Baton Rouge. Blanco Brothers Construction handles roofing projects such as re-roofing, roof installations, and roof repairs. Blanco Brothers Construction’s professionals respond to emergency situations within 24-hours of the call. Blanco Brothers Construction is Better Business Bureau accredited and Ludowici Roof Tile certified. Blanco’s Roofing is a privately-owned Baton Rouge roofer offering both residential and commercial services to clients throughout the area for more than 25 years. Their goal is to provide high-quality, efficient services at competitive prices. Blanco’s Roofing’s professionals specialize in shingle roofing but offer construction, replacement, and repair of all types. Their services also cover gazebo and hoods, leak repairs, wind turbine and power vent installations, chimney flashing and regular flashing, and metal crickets. Blanco’s Roofing has strong relationships with insurance companies and knows to cater to local weather disasters such as hurricanes, hail storms, and high winds. By The Specs is a Baton Rouge roofing contractor serving residents in the Metropolitan area. By The Spec’s professionals handle roof installations, both shingle and metal roofing, as well as interior and exterior services. Their roof repair team uses 3-D satellite and infrared thermal imaging to pinpoint any issues the human eye might fail to capture. By The Specs is fully-licensed and insured and is a part of the Louisiana Home Builders Association. Coleman Roofing is a licensed and bonded Baton Rouge roofing company that has served residential and commercial properties in the area for the past three decades. Coleman Roofing’s services include coatings, awnings, gutters, metal roofing, roof inspection and repair, and the installation of Dow Powerhouse Solar Shingles. The team can also handle insurance claims and warranty repairs. Coleman Roofing’s licensed contractors are Home Improvement Certified and accredited by the Occupational and Safety Health Registration, Transportation Worker Identification, the National Roofing Contractors Association, and the Better Business Bureau. The company offers free custom estimates for Baton Rouge and Northshore area customers. Cribbs, Inc. is a third generation, family-owned-and-operated, roofing and repair company in Baton Rouge, serving residential, commercial, and historical preservation clients for the past five decades. Cribbs’ professionals offer an array of roofing options, such as slate, tile, shingle, metal, single plywood, and architectural sheet metal work. The employees at Cribbs also install and fabricate gutters, downspouts, vents, and other specialty products. A few of their larger projects are the law office located in Downtown Baton Rouge and a classic, European-style home located in Northeast Mississippi. Cribbs is a fully-insured business. FA Roofing Construction is a limited liability company that focuses on roofing services for residential and commercial clients within the Baton Rouge Metro area. Freddy Alvarez owns and operates FA Roofing Construction and has nearly a decade’s worth of roofing experience. He ensures his projects focus on quality, customer service, and responsiveness. FA Roofing Construction’s services include gutters, louvers, chimney caps, awnings, siding, metal roof and flashing, roof installation and replacement, and shingles. FA Roofing Construction’s employees are fully licensed and covered by worker’s compensation and general liability. Geaux Roof is a locally owned and operated roofing service offering roof installations and repairs to residential and commercial property owners throughout the Baton Rouge area. Geaux Roof’s professionals focus on aesthetics, durability, and value on each roof installation. Geaux Roof’s roof repair team specializes in handling leaks for chimneys, skylights, flat roofs, areas missing shingles, and roofs with valleys. Additional roofing services include roof ventilation, soft wash roof cleaning, and blown-in attic installation. Recommended Roofers features Geaux Roof on their website due to the work of their factory trained technicians. Louisiana Statewide Roofing has served residential and commercial clients throughout the Baton Rouge Metro area for over 40 years. Louisiana Statewide Roofing’s services include installations and repairs, inspections and estimates, and roof replacements. Louisiana Statewide Roofing is fully licensed, bonded and insured, and offers same-day service. McLaughlin has been serving residential and commercial clients throughout the Baton Rouge Metro area for the past three decades. McLaughlin offers home and property owners both custom slate roofing and duro-last flat roof installations. McLaughlin’s professionals focus on aesthetically pleasing and long-lasting roofs. They also offer replacements, repairs, inspections, and maintenance. Midcity Roofing in Baton Rouge is a fully-licensed and insured business also serving, Covington, New Orleans, Hammond, Slidell, Gonzales, and Mandeville. Midcity Roofing’s professionals focus on roof repair, replacement, and written estimates. They also offer installation of metal roofing, both r-panel and snap-lock, as well as aluminum and copper gutters. Midcity Roofing’s claim specialists work with insurance adjusters throughout the process and offer free shingle inspections. Midcity Roofing is partners is certified with Tamko Building Products, Senox Corporation, Eagle View Technologies, GAF, and Atlas Roofing. Roof Right is a Baton Rouge roof service specializing in metal roofs for homeowners living in the area. Roof Right’s fully-licensed professionals offer metal roof installations, repairs, and restorations, as well as exterior repairs on chimneys, gutters, and windows. Mark Sheats, the owner of Roof Right, has over two decades worth of experience in the roofing industry, beginning in and still working throughout Louisiana. Samayoa Roofing is a limited liability roofing company located in Prairieville and serving residential and commercial clients in and around the Baton Rouge area. Samayoa Roofing is owned and operated by Edgar Jimenez, who has nearly two decades worth of roofing experience. 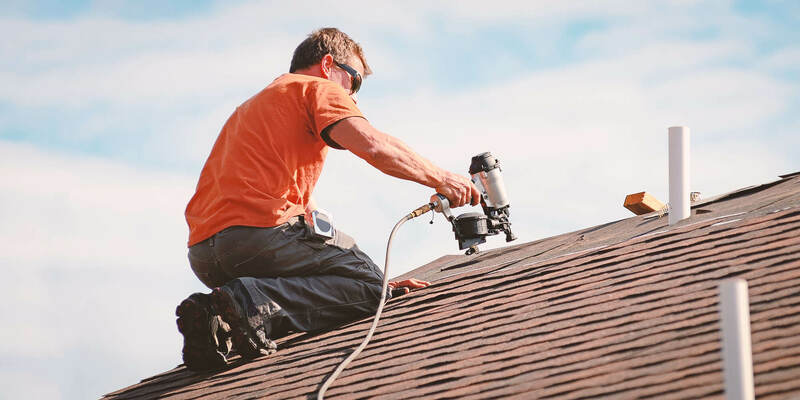 Samayoa Roofing is appropriately licensed to handle roofing services that include cleaning, installation of sheet metal and rock, gutter repair, and chimney caps. Samayoa Roofing’s professionals also offer warranties, free estimates, and emergency services. Angie’s List and Homeadvisor both feature Samoyoa Roofing on their websites. Sun Rise Roofing & Construction is a locally owned and operated home improvement company serving residential and commercial clients in the Baton Rouge Metro area for over two decades. Sun Rise Roofing offers roofing repairs and cleaning, leak repairs, roof and gutter cleaning, chimney cap installations and repairs, and many other options. Sun Rise Roofing is fully licensed and insured and has an A+ rating as a member of the Better Business Bureau. Along with offering roofing services, Sun Rise Roofing & Construction’s professionals also handle light construction projects such as additions to skylights, siding, and trim. TWG Management offers construction, maintenance, and property management services to commercial and residential property owners throughout the Baton Rouge Metro area. TWG Management’s primary services include renovation, restoration, and roofing, while also focusing on commercial roof repair, flood demolition and mitigation, insurance claim consultations, and general home improvements. TWG Management’s professionals are Better Business Bureau accredited and certified in giving NFIP Damage Appraisals. Walter’s Construction is a locally owned and operated roofing company that’s been serving residential and commercial properties throughout the Baton Rouge area for the past 30 years. Walter’s Construction’s roofing specialists offer maintenance and repair for flat, shingled, slated, and metal roofs, as well as roof coating and many other options. Walter’s Construction is a Better Business Bureau associated service.